Microsoft Exchange is one of the most popular and widely used email servers in the world. It is also a critical infrastructure for any organization because email is the primary form of communication at work. Whether your employees want to setup a meeting or get notifications about vulnerability issues in the network, emails are the key. This is why every organization should take proactive steps to ensure that their Exchange server is in good health always. Critical Services Monitoring including Information Store, IIS Server, Exchange Assistants, Transport Service, Unified Message Service, etc. Exchange monitoring tools help to monitor an Exchange server, so you can identify issues and fix them before they become big problems. A study estimates that when an Exchange server is down, financial losses range from $25,000 to $4 million an hour. To avoid such unnecessary expense, here are some of the top Microsoft Exchange Email Server monitoring tools available today. 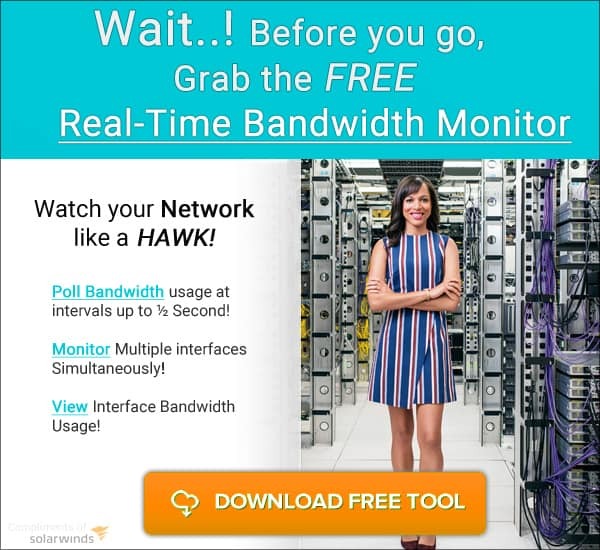 Solarwinds Exchange Monitoring tool comes from Solarwinds, a company well-known for offering top-of-the-line performance monitoring tools. 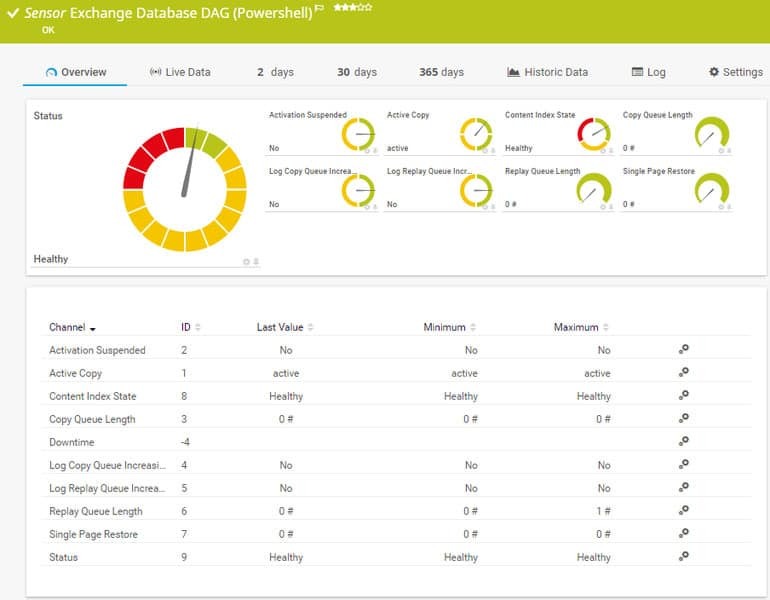 The Exchange Monitoring tool gives you complete visibility into Exchange server, so you can proactively handle problems. Here is a look at its important features. Alerts on database usage and free space availability, so you can plan for mailbox database capability. Forecasts storage metrics with current and historical data, to help you identify problems pertaining to volume capacity or IOPS. Suggests optimum storage performance options. Constantly monitors hub transport server, mailbox server, edge transport server and the CAS, so you can plan for mail storms or other related issues ahead of time. User-friendly interfaces make it easy to search the exact information you want. This feature also helps to troubleshoot user mailboxes, as you don’t have to waste time running a script to identify the problem mailbox. Comes with an advanced reporting tool that makes data visually appealing and easy to read. Makes it easy to drill into any Exchange issue to fix it at the earliest. Free 30 Day Free Trial! PRTG Exchange Monitoring tool monitors many parameters of your Exchange Server, so there are no financial and productivity losses stemming from server problems. Continuously monitors exchange server availability and performance. Sends alerts when the mail server is down or when there are any issues with availability or performance. It sends these alerts through email, SMS or push notifications. 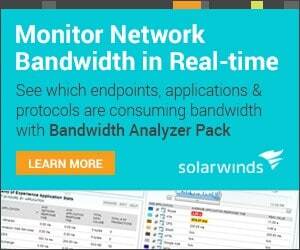 Monitors database capacity, load and traffic patterns. Handles documentations such as event log entries. Comes with pre-configured sensors for Microsoft Exchange Server, so they are automatically in place when installation is complete. A well-designed dashboard displays all the information about Exchange Server in a neat and comprehensive way. Below is a list of sensors designed specifically for monitoring the Exchange server. Exchange mailbox (powershell) sensor – Monitors the mailbox size, logins and the latest emails. 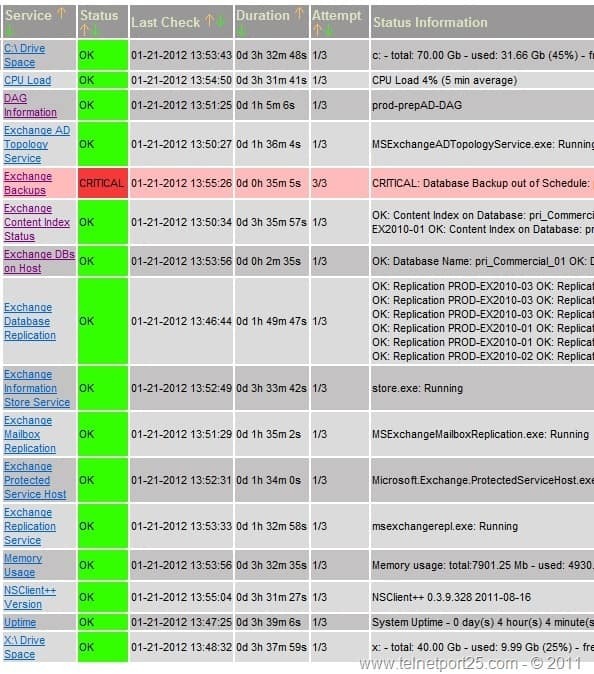 Exchange database (powershell) sensor – Monitors database availability group (DAG) status. Exchange backup (powershell) sensor – Verifies if Exchange backups are performed at scheduled intervals. Exchange mail queue (powershell) sensor – Monitors the number of emails that are currently in the mail queue. Exchange public folder (powershell) sensor – Monitors Exchange Server’s public folders, including its size, access, etc. SMTP and IMAP round trip sensor – Checks the response time of SMTP and IMAP servers. SMTP and POP3 round trip sensor – Monitors end-to-end delivery of emails. The cost depends on the number of sensors you choose. The above prices include a one-year maintenance. To renew, the price is 25% of the original license. OpManager from ManageEngine helps you to stay on top of your Exchange server’s performance. Check for inactive mailboxes and remove them for better performance. Keep a check on your mailbox performance counters to ensure that your database storage capacity is within acceptable limits. Troubleshoot outlook connectivity by examining various parameters such as number of requests per second, average response time, etc. Streamline all voice messages and emails into a single mailbox, so it is easy to identify access issues. Monitor critical information like scan time, the number of scan requests rejected, blocked recipients and more, to provide better security against spam and viruses. Plan for capacity based on the inputs from this tool. Create stellar reports using the built-in templates. Get a list of all the servers and database status copies that are a part of the database availability group (DAG). Free Trial as well, but this product starts at $945. Foglight for Exchange comes from a company called Quest that specializes in providing products for streamlining IT administration. Comes with intuitive dashboards that allow you to view critical load areas and any abnormal data flow. Allows you to browse through different Exchange components to get a logical flow of data and to ensure optimal health and performance. Offers consolidated views to make it easy to identify issues in your physical and virtual environment. Provides insight into mailboxes running in the cloud as well. Isolates Exchange components running in the virtual server, so you can fix issues directly in the virtualization layer. Categorizes top users to detect load issues. Detailed alerts to notify you of issues. You can customize these alerts to include best practices, deviations, operational problems and more. 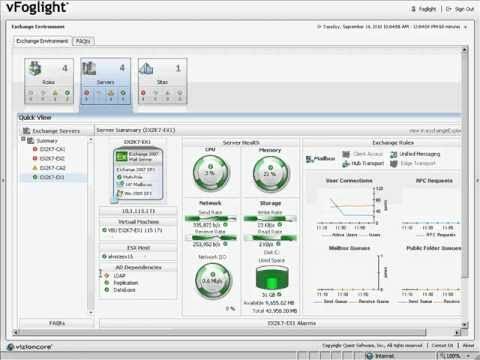 Creates SLA performance and availability reports. Gives you the option to schedule and run diagnostic reports. 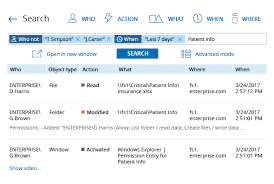 Advanced permission controls make it convenient to assign user-based permissions. Nagios Exchange monitoring tool offers a comprehensive monitoring of all Exchange mail servers. It comes with the following benefits. Its monitoring capabilities ensure that the mail server is always up and running. It stays on top of performance and sends notifications if any parameter is off the threshold limits. Detects outages, power failures, delays and email server failures quickly. Advanced reporting tool helps to create customized reports. Monitors POP3, SMTP and IMAP servers. 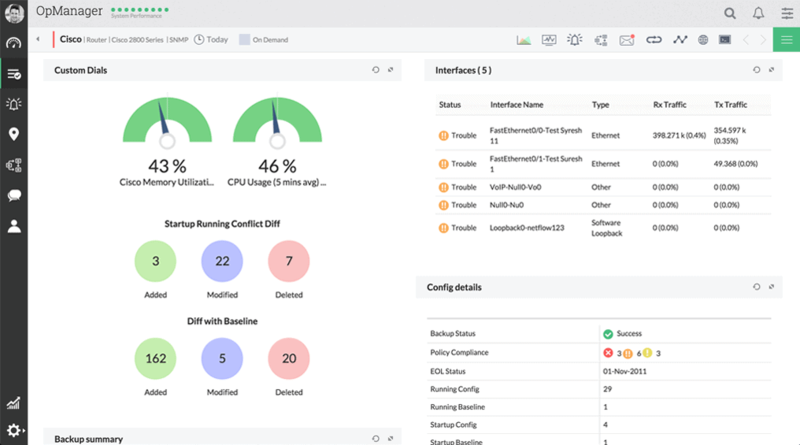 Netwrix Auditor for Exchange is an exchange monitoring service that helps you stay on top of your Exchange infrastructure and gives you better control over your mailbox access. It is a part of the unified Netwrix auditor platform. Besides these aspects, here’s what it can do for you. Monitors all critical changes made to Exchange server, due to any change in configuration, use or permissions. Interactive search feature helps to quickly identify the root cause of the problem. Provides necessary information to extensively investigate events like mailbox deletion. Gives detailed information on who accessed what mailboxes. This way, you can know when a non-owner accesses a mailbox containing sensitive data. Sends alerts when parameters go past the threshold limits. Also, notifies any suspicious or criminal activities. Offers compliance reports that are mapped to regulatory compliance standards such as PCI DSS, HIPAA, SOX and GDPR. Supports granular access control, so you can give permission-based access to individuals. There are three editions – Small Business edition, Standard edition and Data Discovery & Classification edition. Small Business edition is ideal for 150 or less AD users while the Standard edition is ideal for more than 150 AD users. The Data Discovery& Classification edition includes the Data Discovery tool, along with Exchange monitoring. Contact the sales team at https://www.netwrix.com/how_to_buy.html to get the price. To conclude, Exchange monitoring Software and Tools are essential to protect your Exchange servers from going down, along with Managing and Monitoring Datastores and important Exchange Services that should never go down. The above explained tools come with good features to give you complete control over the health, performance and availability of this critical resource. 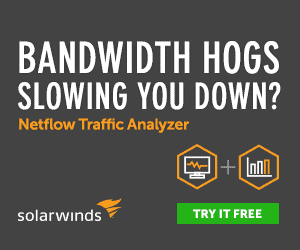 We suggest you download a few of them and test them in your network to get a better feel of what they are compatible of – If you want our Top picks, We suggest one of the top 3 list above – either Solarwinds, PRTG or OpManager by ManageEngine!